Let's get to know these iconic men who are not only known for their personal style, magnetism and mystique, but their immense love of watches, a passion that sometimes borders on obsession. Securing a place on Nadal's wrist put the spotlight on Richard Mille which let the world know that they are a force to be reckoned with! Aren't we always fascinated by an icon's life? The behind-the-scenes footage, random video snippets, the numerous articles that delve deep into the man behind the personality, etc. Despite all this, we never really get to know the men whose fame has stood the test of time. One look at their wrist could offer us a glimpse into their life and tell us who they really are. Let's get to know these iconic men who are not only known for their personal style, magnetism and mystique, but their immense love of watches, a passion that sometimes borders on obsession. The King of Clay Rafael Nadal has proved his mettle time and again by winning numerous tournaments, like the French Open and the Monte Carlo Masters. His undying strength and resolution to stand firm in the face of adversity are what led Richard Mille himself to approach Nadal back in 2008. This noble trait shared by Nadal and the recently-founded brand gave way to the emergence of a long-term partnership. 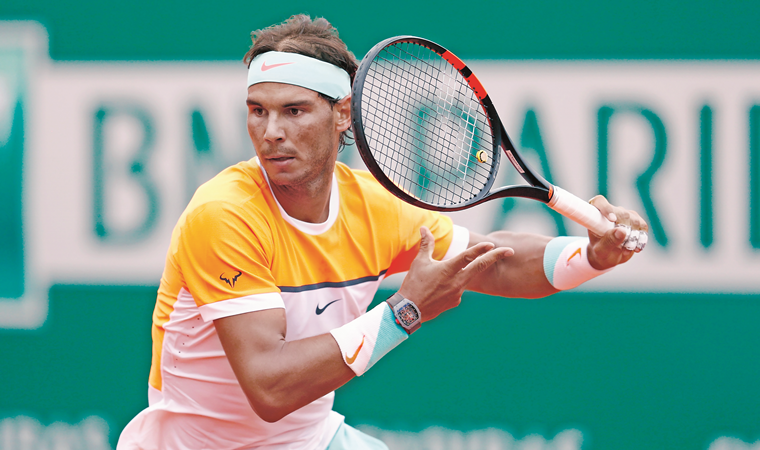 A novice at first, Nadal quickly garnered a thing for Richard Mille's big statement watches. So much so, that he was spotted sporting various Richard Mille timepieces on the court. Not only that, Nadal was deeply involved in the designing of some of the now-famous timepieces keeping in mind the extreme conditions that a player has to operate in while playing. The RM 27-02 and RM 27-03 Tourbillon are few of the many timepieces that Nadal has been seen wearing on court. What attracts Nadal to Richard Mille is the latter's continuous effort to consistently build timepieces that can weather the elements, absorb shocks and resist tough wear and tear while sitting on his wrist in court. Securing a place on Nadal's wrist put the spotlight on Richard Mille which let the world know that they are a force to be reckoned with! n total, there have been eight limited-edition Schwarzenegger branded Audemars Piguet watches, five in the Royal Oak Offshore family and three in the Jules Audemars family. Arnold Schwarzenegger is not only an avid collector of fine timepieces, but he's also been deeply invested in conceptualising and designing timepieces for one watch brand — Audemars Piguet. A lover of large diver or military watches, and despite his interest in other watch brands like Panerai, Breitling and U-Boat, there is no other brand that is as synonymous with him as Audemars Piguet. 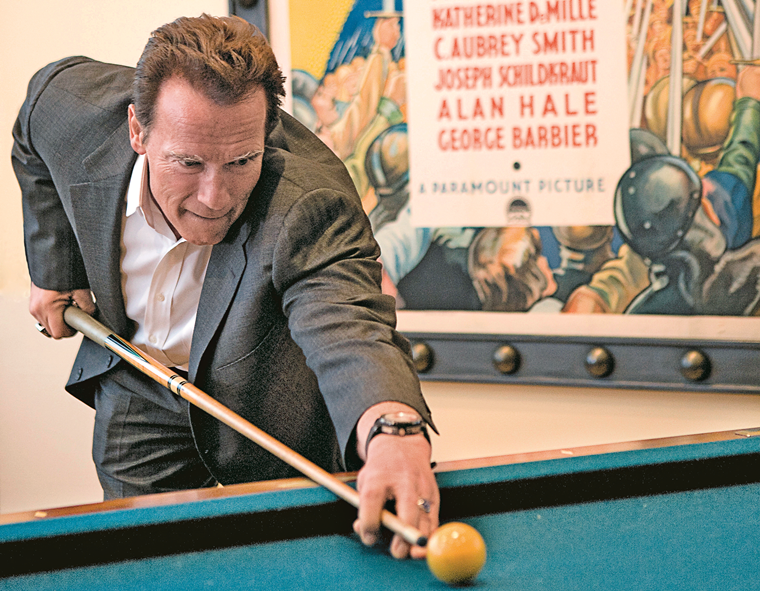 The long-standing relationship between the 143-year-old brand and Schwarzenegger started when he later visited their manufacturing unit in 1998. He returned the following year to feature one of their watches in his movie, End of Days, which led to the launch of the Royal Oak Offshore End of Days Chronograph. Since then, both have been deeply invested in creating and developing timepieces for movies like The Sixth Day (2001) and Terminator 3: Rise of the Machines (2003)etc. Soon enough, the release of a new Arnold Schwarzenegger limited-edition AP watch became an annual event. In total, there have been eight limited-edition Schwarzenegger branded Audemars Piguet watches, five in the Royal Oak Offshore family and three in the Jules Audemars family. He can rightly be called one of the most well-travelled humans of all time. of the wearer himself. 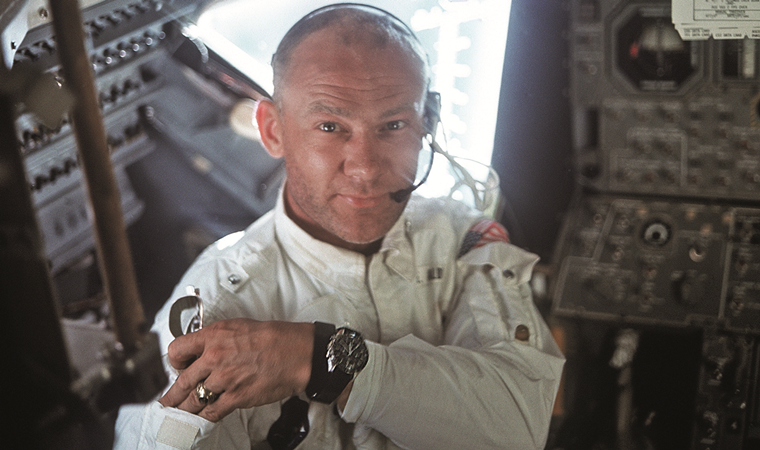 Moving between traditional suits and flying jackets, stars-and-stripes braces, space socks, his signature gold rings and numerous metal and beaded bracelets, there is no doubt that Aldrin is a style leader. Apart from his fashion sense, the man is a true-blooded explorer. He can rightly be called one of the most well-travelled humans of all time. From the moon to the Titanic, he has travelled far and beyond. All of this adds to the charisma and aspirational quotient of the man and his personal collection of watches especially the Moonwatch. TAG Heuer features McQueen in all their marketing campaigns of all their numerous re-editions of the Monaco even now! 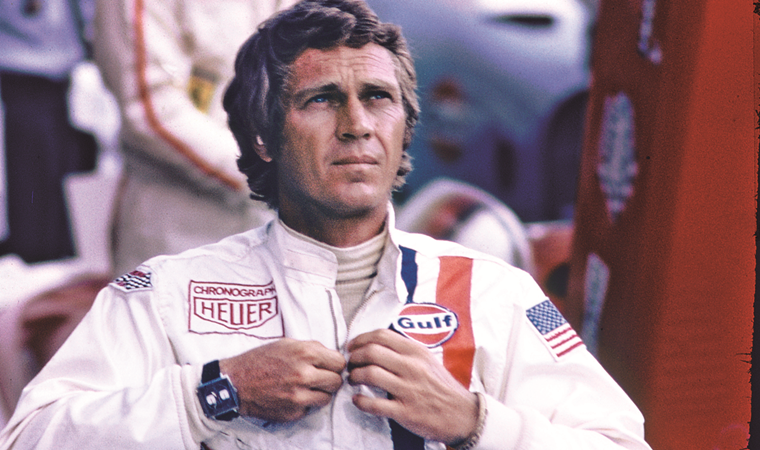 There are only a few associations between an actor and a watch that have endured the test of time and still managed to make news like Steve McQueen and his Monaco, first seen in the 1971 movie Le Mans. As we all are well aware, McQueen, also called the King of Cool, is a world-famous American actor who made a name for himself with great roles in movies like The Great Escape, Bullitt, The Cincinnati Kid and Le Mans. Considered a hero amongst men, he has often been seen wearing some very special watches, the most popular being the square-face, blue-dialed, steel Heuer (TAG had not yet been acquired) Monaco in Le Mans. Given his popularity, there was no doubt that some of his fame rubbed off on the watch as well. So much so that TAG Heuer features McQueen in all their marketing campaigns of all their numerous re-editions of the Monaco even now! A rebel, racer and true romantic, McQueen made headlines when he wore the Heuer crest on his racing suit and the Monaco on his wrist. The blue-eyed superstar put the watch on the map and has ever since turned it into a timeless ode to TAG Heuer's “don’t crack under pressure” attitude. Every time we remember the King of Cool, all we can imagine is his Porsche 917, his racing suit and the blue-dialed Monaco on his right wrist! If the popular saying is that a watch maketh a man, when it comes to McQueen, it is the man that maketh the watch! The American actor and director ruled the film industry for more than 50 years with his striking good looks (classically handsome with piercing blue eyes), incomparable intelligence and contagious charisma. Also called the Patron Saint of Cool Watches, the original Paul Newman Rolex Daytona was sold at a record-breaking $17.8 million (`17.36 crore)last year, making it not only one of the most desirable and recognisable vintage watches but the most expensive wristwatch ever sold in history. How did it become the most coveted watch of all time? All thanks to Paul Newman and his extraordinary personality. The American actor and director ruled the film industry for more than 50 years with his striking good looks (classically handsome with piercing blue eyes), incomparable intelligence and contagious charisma. 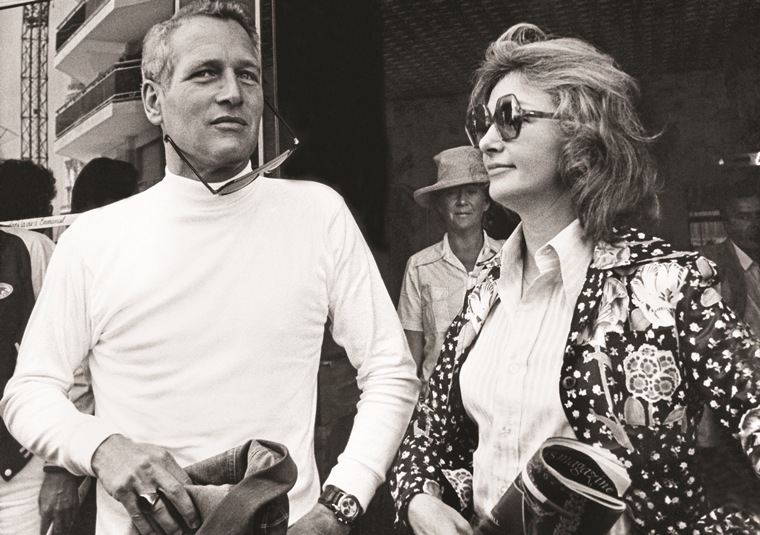 It all started when Newman received the "exotic dial" Rolex Cosmograph Daytona (ref 6239) as a gift from his wife, Joanne Woodward back in the 1960s. Celebrating her husband's enthusiasm for race car driving, she had even inscribed the caseback with an endearing message "Drive Carefully Me". Since then, Newman was photographed everywhere wearing the Daytona especially when he was competing in high-profile races like the 24-hr Le Mans. With a magnetic personality and huge fan base, there is no doubt that the minutest detail about him became a model for ultimate coolness. Hence was born the Paul Newman 'Daytona'. So thanks to a combination of limited pieces, a heartfelt association with the larger-than-life mega star and unusual details on the dial, the "Paul Newman" Daytona has become one of the most sought after timepieces that gets every collector’s heart beating faster!